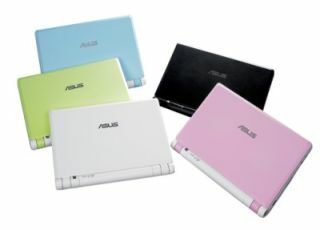 The new breed of tiny, so-called netbook computers is clearly a marketing firestorm, but exactly how many of these things have been sold by Asus et al? According to market researcher IDC, data for Europe, the Middle East and Africa show that the third quarter of this year saw over two million netbooks sold in those territories. Looking at the total computer market of just under 28 million sales in that period, netbooks have a very healthy seven per cent share, which is impressive for a category that didn't exist 18 months ago. Unsurprisingly, Asus and Acer account for 80 per cent of those mini laptop sales, but with Samsung, HP and others ready to muscle in, we can expect that to change soon. Best of all for the laptop builders, IDC says the last quarter of this year is likely to see sales jump to four million, leading us to wonder is there's going to be any room left for full-sized laptops at all.